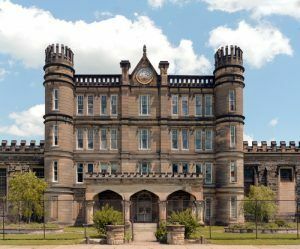 The West Virginia Penitentiary located in Moundsville, West Virginia not only provides visitors with a wealth of history, but some also say it is called home to several resident ghosts. During the Civil War, West Virginia seceded from Virginia in 1863 and the new state was in immediate need of public institutions, including prisons. But building these places would take time and money. West Virginia Governor Arthur Boreman lobbied the new West Virginia Legislature for a state penitentiary but was repeatedly denied. As a result, prisoners were held in existing county jails or sent to institutions out of the state — but not to Virginia who was still angry about the separation and barred West Virginia from using their facilities. Many of the criminals were jailed in a small structure in nearby Wheeling, but it quickly became overcrowded and in 1865, nine inmates escaped. Afterward, the state legislature finally took action in February 1866 and approved the purchase of land in Moundsville for the building of a state prison. 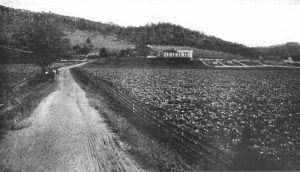 The ten-acre site was convenient as it was just about 12 miles south of Wheeling, which was the state capitol at the time. That summer, a temporary wooden prison was built that was surrounded by a wooden stockade that housed prisoners. In the meantime, officials worked with architects on the design of a new prison. They chose a gothic-style design that was similar to the 1858 Northern Illinois Penitentiary at Joliet. 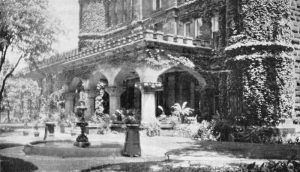 The building would be constructed of stone, complete with turrets, battlements, and lancet windows, giving it the appearance of a fortress. Constructed with the help of inmate labor, the first structure built was the North Wagon Gate, made with hand-cut sandstone quarried from a local site. Work on the first phase of the prison continued until 1876 when it was completed at a total cost of $363,061. The north and south cellblock areas both measure 300 by 52 feet. The north wing was initially used as a kitchen, dining room and chapel, before additional cells were gradually added in the 1890s. In between the cellblocks is the four-story administration building that included space for female inmates on the third floor and personal living quarters for the warden and his family on the fourth floor. The second floor served as a hospital. The stone walls are 5 feet thick at the base, tapering to 2½ feet at the top. The facility officially opened in 1876, at which time it housed 251 inmates, some of whom had helped to build the prison. 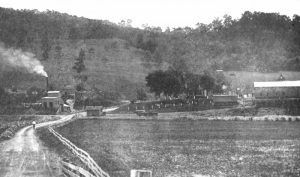 Afterward more facilities, workshops, and outbuildings were constructed including a wash house, bakery, and hospital inside the North Recreation Yard. In the next decades, more improvements were made to the facility. Steam heat was added in the mid-1870s and coal oil lamps were replaced by electricity in 1900. Bricks were used for walkways and roads which improved drainage and cleanliness of the grounds. The Administration building was also improved with an elevator installed in 1894 and an exterior porch that actually made the prison look a bit welcoming. By the early 1900s, the prison also included several shops in which the inmates worked including carpentry, paint, and wagon shops, stone and brickyards, a blacksmith, a tailor, a shoe shop, a bakery, and a hospital. In addition to a 200+ acre prison farm, these industries helped to support the prison financially and it was mostly self-sufficient. Prisoners also worked in the kitchen, stables and wash house. During this time, prison conditions were good, with the warden’s report stating: “both the quantity and the quality of all the purchases of material, food, and clothing have been very gradually, but steadily, improved, while the discipline has become more nearly perfect and the exaction of labor less stringent.” Education was also a priority for the inmates at this time and a school and library were built in 1900. The library grew to include over 5,000 books and at one time, those who could not read were required to attend night school. Other educational classes and enriching programs were also available for all inmates. For recreation, the prison had its own band which played in a bandstand located in the North Recreation Yard. Many inmates played on a baseball team that competed against local teams in Moundsville and the Ohio Valley area. For many years, the Print Shop published a magazine called Work and Hope. Church services were held in a large room on the second floor of one building. By the 1920s, the female inmates were moved from the Administration building to a separate two-story building located in the northeast corner of the North Recreation Yard. This building had its own dining room and kitchen, in addition to cells. A high wall enclosed this section from the main part of the prison. During this time, approximately 50 women were employed in part of the shirt shop making collars and cuffs for the shirts made by the men prisoners. The other women were employed in domestic work within the prison. In 1921, a prison coal mine was opened about a mile away which helped the facility with its energy needs and saved thousands of dollars each year. It also put inmates to work, some of whom were allowed to stay at the mine’s camp under the supervision of the mine foreman. In 1925, two new water wells were drilled that supplied the penitentiary, and in times of need could supply the city of Moundsville too.